Make sure garage doors are closed and locked both day and night including all man doors. Burglars are opportunistic; if your doors are locked they will move on. You can protect your property further by writing down the make, model, and serial numbers of your valuables. When law enforcement recovers stolen property they use this information to return it to the owners and the Clark County District Attorney can prosecute the suspects. Without this information your chances of getting your property back decrease dramatically. Know what is going on in your neighborhood and don't be afraid to report suspicious persons, vehicles and activity as well as to writing down license plate numbers. BE A GOOD & SAFE WITNESS! The police ask for residents to pay attention to public buildings and park property. During the summer months there is an increase in property damage to the park restrooms and equipment. If it looks suspicious take note of vehicle description and license plate number. If you have any concerns please notify the police. 	Install secure locks on doors, and USE THEM! 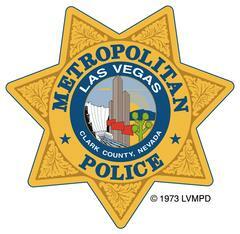 	Call Metro’s Non-Emergency number 311 to report suspicious persons, vehicles or activities. Use Metro's 911 for all life threatening emergencies! BE A GOOD & SAFE WITNESS!